I have a Ticket to Ride app, a.k.a. "the train game." 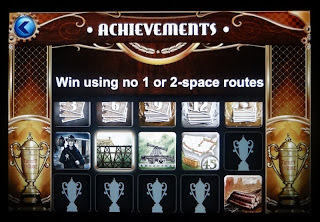 The computerized players aren't too bad but are generally pretty beatable, so it's nice to have "achievements" to shoot for, too -- usually something about staying within specific, stricter limits, which tends to require adjusting one's approach to win. Hey, look! I achieved something! 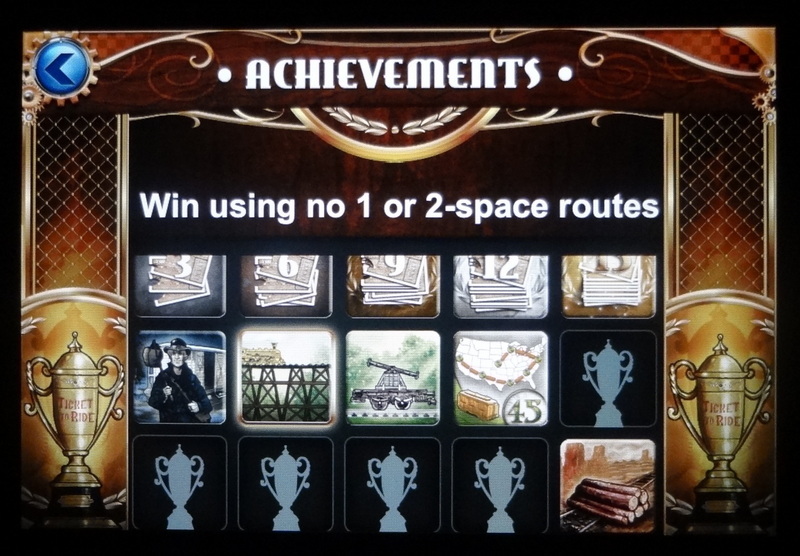 This concept of achievements is a common theme in game app development. The word suggests meeting a challenge and calls the player to something beyond the usual. A different game I've played incorporates "missions," which seems to be their attempt at the same idea. The implementation in that one is mediocre, though. A few of the "missions" call for actual skills, but most read merely like a to-do list (e.g., construct eight four-letter words), and a few are blatantly non-challenging (e.g., request hints). Ugh. Why did the programmers even bother creating such goals? The thing is, even without being well-designed, this tactic manages to increase player engagement and keep people playing longer than they would otherwise. We more readily squander time as the game renames our efforts in terms of "mission," as if we were doing something important. As much as I'd like for all of this to be about game design, it's not. It is much more about human drives to find meaning and significance, meet challenges, do something extra, go beyond the ordinary. When channeled appropriately, such drives are a great gift. Unfortunately, it is easy to instead become distracted toward focusing on "achievements" and "missions" and "badges" -- externally defined goals completed for some lesser purpose -- at the expense of those things which truly matter most. Setting aside my to-do list for awhile earlier in the year was a worthwhile experience, and continues to shape my thoughts each day. I'm still learning to persistently measure my moments based on what matters rather than being drawn back to the black hole of The List. I do enjoy when I have a bunch of tasks completed at the end of a day. Still, the truest joy and satisfaction come when I can look back and genuinely know I've lived the day well, approaching it the best I know how while persistently attentive and prepared to change course when God prompts to do so.